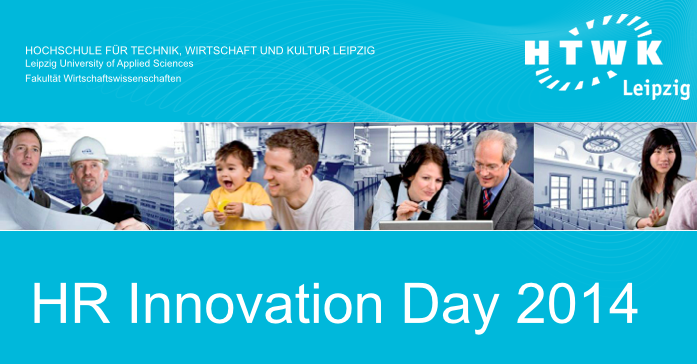 This year I will once again be taking part in HR Innovation Day, which is being held on May 24 in Leipzig. I will not only be giving a presentation, as I did last year, but will also be leading a workshop on how to integrate aspects of social business in talent identification and retention. 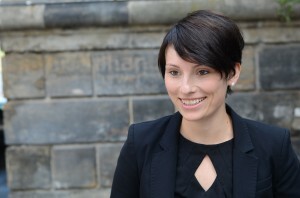 HR Innovation Day’s organizer, Prof. Peter M. Wald, interviewed me in the run-up to the event. You can read the original German version of the > interview here. Ms. Brückner, after the outstanding presentation you gave last year on “Introducing a Social Intranet,” you will be returning to HR Innovation Day this year to support our program. In order to give potential participants and readers of my blog an idea about what your workshop will offer, I’d like to ask you several questions. Which area of modern personnel management will your workshop focus on? One of the biggest challenges in modern personnel management is identifying and retaining talented employees in a company. This can also be seen in the primary area of my consulting work, community and change management. Lots of clients want to implement Web 2.0 technologies (blogs, wikis, etc.) in their companies and come to me for advice. In my workshop I will map out with the participants the risks and opportunities of talent management and use the framework of a social business strategy to identify possible solutions. Could you tell us what topics you will highlight? Of course. The workshop will begin with a discussion of the challenges companies face when designing and implementing talent management initiatives, after which we will structure and categorize these issues together. In the second part we will attempt to solve these challenges through the use of Web 2.0 technologies while integrating these methods of resolution in an overarching social business strategy. The workshop aims to find a way, independent of any specific technology, to address and overcome these challenges. I will naturally make sure not to emphasize just supporting technologies, but will also encourage participants to think outside of the box. This especially applies to organizational development and touches on questions such as: What type of engagement by management is required? How can a company change its culture and become a learning organization? What is essential to keep in mind? What professional experience can you draw on in this field? In my day-to-day work I’m constantly looking for new ways that social business methods can identify and further develop talented employees. My conversations with HR experts in this field help me to understand the challenges that exist and to come up with new solutions. I collaborate with my colleagues on the development of use cases that will meet the challenges involved in implementing a modern approach to personnel management. How will you conduct the workshop? The goal of the workshop is to actively involve the participants and to jointly define solutions for HR issues related to talent identification and retention. I will, of course, introduce the topic with a short presentation to ensure all participants are on the same page, but this will only be a small part of the workshop. The rest will consist of everyone working through and discussing the material so that the latter portion is less about covering material and more about developing ideas together. What will participants take from your workshop? First and foremost, participants should come away with an understanding of how social business activities can help meet challenges in the area of talent management. It’s important to me that they gain new insights into the inner workings of social business in addition to the current issues of the day. Participants should be in a position to apply these insights in their jobs on a day-to-day basis. In conclusion, could you tell us a little about your professional work? Since completing my studies in business informatics in 2011, I have working in the area of social business consulting and starting January of this year I have been focusing more and more on social learning and how this new activity can be integrated into a company’s social business strategy. I consult clients from diverse industries (e.g. IT, insurance and automotive) on topics such as external community management, change management and, as I already mentioned, social learning. Besides assisting with vendor selection (on a technology-neutral basis), I also advise my clients on strategy formulation and execution. You’re very welcome. I’m also looking forward to taking part in HR Innovation Day again and to this year’s stimulating discussions on the intersection of talent management and social business.